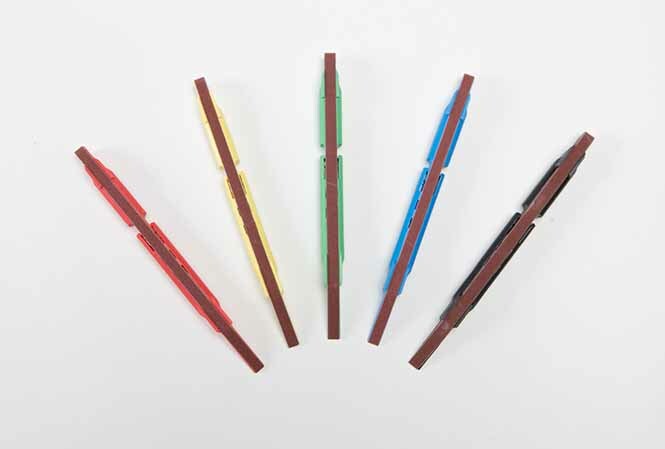 Belt Sticks are versatile tools ideal for metal finishing, woodworking, mold finishing, ceramics, electronics, pattern making, welding cleanup, jewelry making, gun repair, and much more. 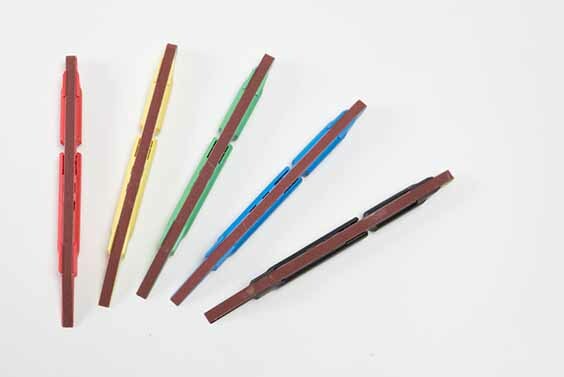 They are used for sanding and smoothing hard-to-reach areas and are equipped with a tip that can be easily reshaped specifically for your application. 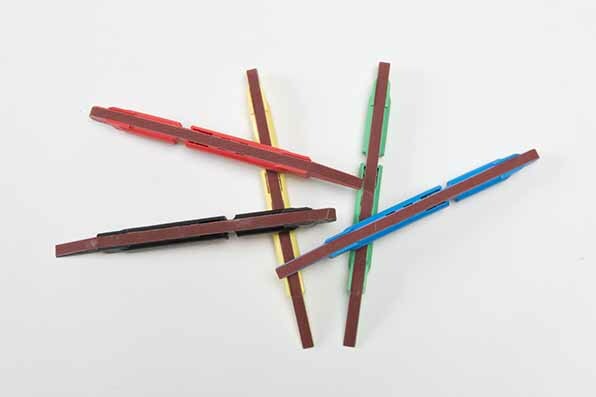 These multi-functional Belt Sticks feature three working areas: a flat bottom, a round end and a tapered end for intricate areas. 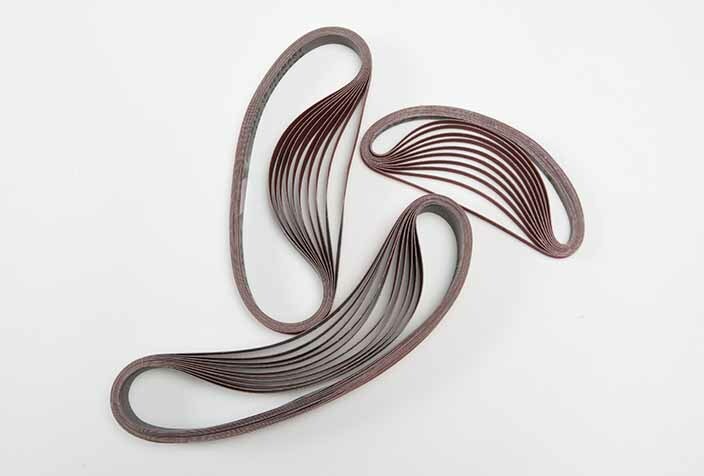 They accommodate 1/4", 1/2", or 3/4" wide aluminum oxide abrasive belts that fit onto the spring-loaded tensioning device allowing the abrasive belt to be quickly changed and also rotated so that all areas of the belt can be used. 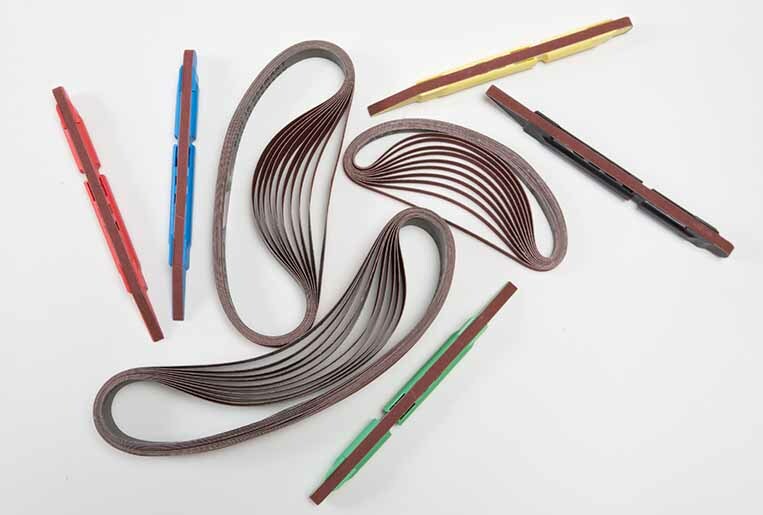 Abrasive belts are resin-bonded cloth-backed aluminum oxide and are available in 6 different grits: 120, 180, 240, 320, 400 & 600. Used them dry or with water, oil or solvents.